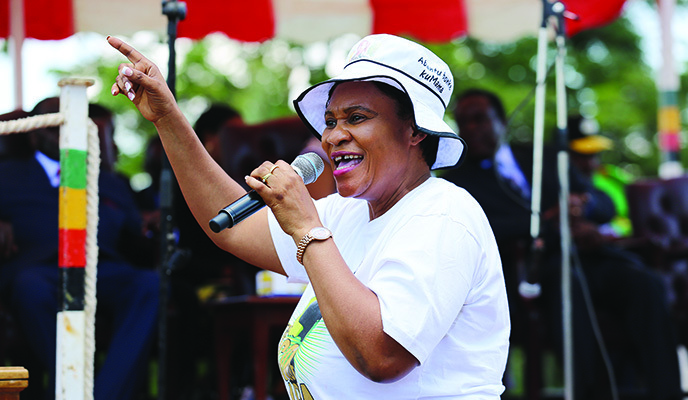 HURUNGWE East National Patriotic Front (NPF) National Assembly candidate, Sarah Mahoka yesterday blasted Zanu PF’s extravagance, saying they were purchasing expensive campaign material at a time the country’s hospitals had no drugs. Mahoka, who was fired from the National Assembly soon after President Robert Mugabe was removed from office, told NewsDay in an interview that it was unfair for the current Zanu PF government to blame the economic quagmire solely on Mugabe. “You see them buying very expensive vehicles for their campaigns and yet they are blaming the country’s economic woes on one individual, Mugabe, and saying that he erred when they were together in government during his tenure,” she said. Mahoka said it was ironic that when they removed Mugabe, the current administration said they wanted to remove criminals around him yet to-date there were no arrests. “There is not even one thief that has been arrested. The only big fish that was arrested was former Finance minister Ignatius Chombo and the rest were small fish. The members of the Executive are still the same people that served under Mugabe. If we have a new government at all, then Mnangagwa must remove all his ministers that served under Mugabe. “They said Mugabe was too old to rule, but is Mnangagwa himself young at all? The whole Cabinet is full of old people, but there is no country that can prosper without an age mix,” she said. Mahoka claimed that Mugabe was better in terms of grooming young people, saying that during his tenure he had included young ministers in his Cabinet like Makhosini Hlongwane (Sports minister), Anastasia Ndlovu (Tourism deputy minister), Edgar Mbwembwe (Public Service minister), and several others. “Mnangagwa has always promised free and fair elections, but in Hurungwe East there is a lot of fear and intimidation. People that support the NPF have received threats that their farms will be taken if they do not support Zanu PF. Food and fertiliser handouts are also used to buy votes,” she said. The former MP said she was confident of winning the seat because of several projects that she spearheaded during her tenure as MP that included opening of 11 hospitals, bridges, her visibility even at funerals where she assisted with food and transport, and also that she was actually resident in Hurungwe East.